A classical round dining table from about 1900 has a solid mahogany top and carved lion paw feet. The apron or skirt and fluted column are flame grain, all with an excellent restored satiny finish. Six 13" wide leaves also have skirts. 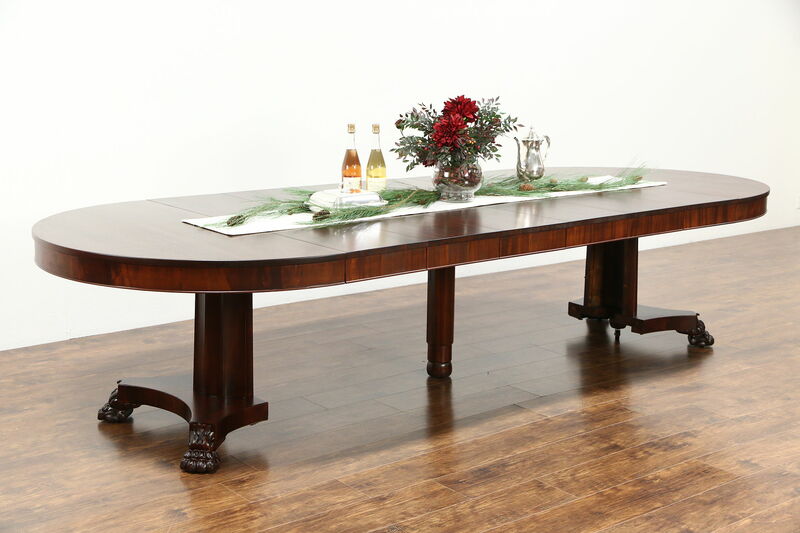 American made antique furniture, the base "splits," revealing a hidden center leg for extra support when opened. Dimensions are 54" diameter, 29 1/2" tall, legroom is 25 1/2" underneath and with all six leaves in place, length is 11' overall.